BADA has clarified a key element of the government’s proposals for a near-complete ivory ban – the stipulation that all items qualifying for the ‘rarest and most important of its type’ and portrait miniature exemptions must be 100 years old. 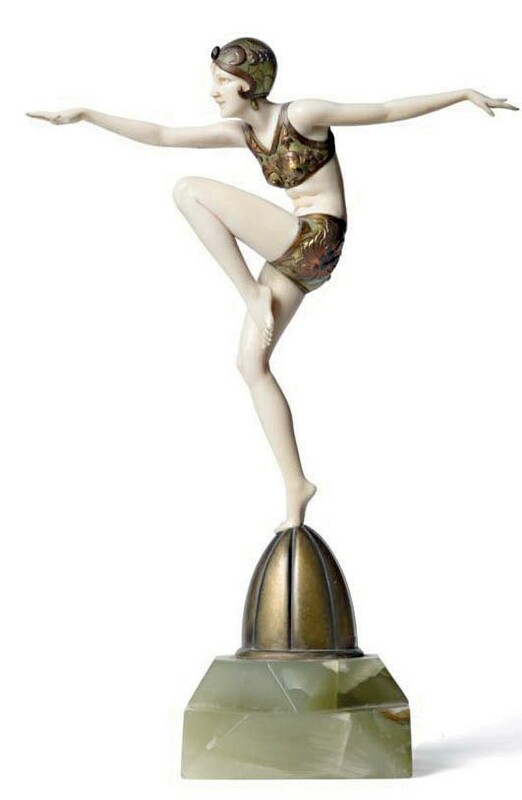 A bronze and ivory Preiss figure Con Brio, sold for £11,000 at Tennants in November 2017. In last week’s ATG it was suggested this would operate as a rolling date, allowing more recently made items to become legal the older the law becomes. In fact, unlike in other countries, such as the US where a rolling 100-year definition of ‘antique’ is used, this is not being proposed in the UK. The descriptions of the ‘rarest and most important’ and portrait miniature exemptions in the policy statement end with the stipulation that items exempted under these categories “must have been produced at least 100 years prior to this sales ban coming into force”. In short, says Mark Dodgson, secretary general of BADA, “if the ban came into force on, say, March 1, 2019, then the exemptions would be restricted to items made before March 1, 1919”. This has the effect of prohibiting the sale of many objects made in the 1920s and ’30s as part of the Art Deco movement. Some bronze and ivory figures may qualify under the 10% de mimimis rule (that permits items made pre-1947) but many with a higher ivory content, such as that pictured above, will not.